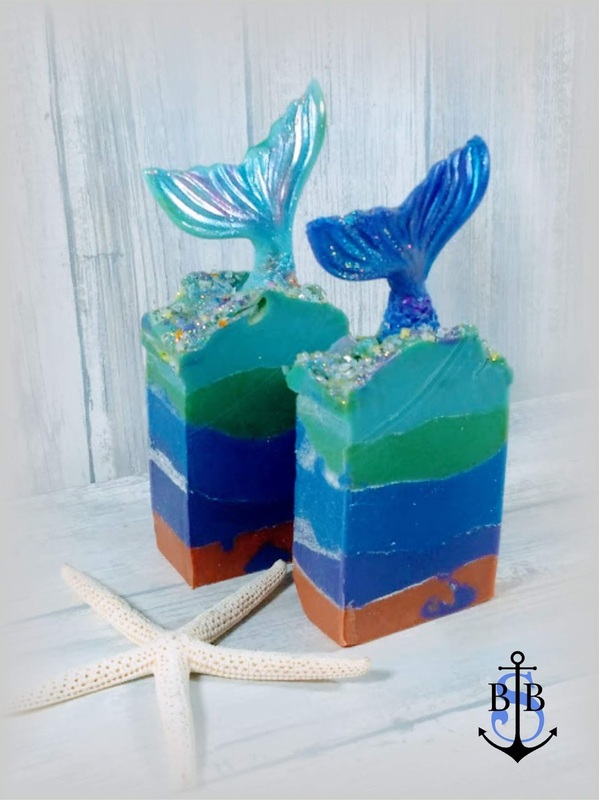 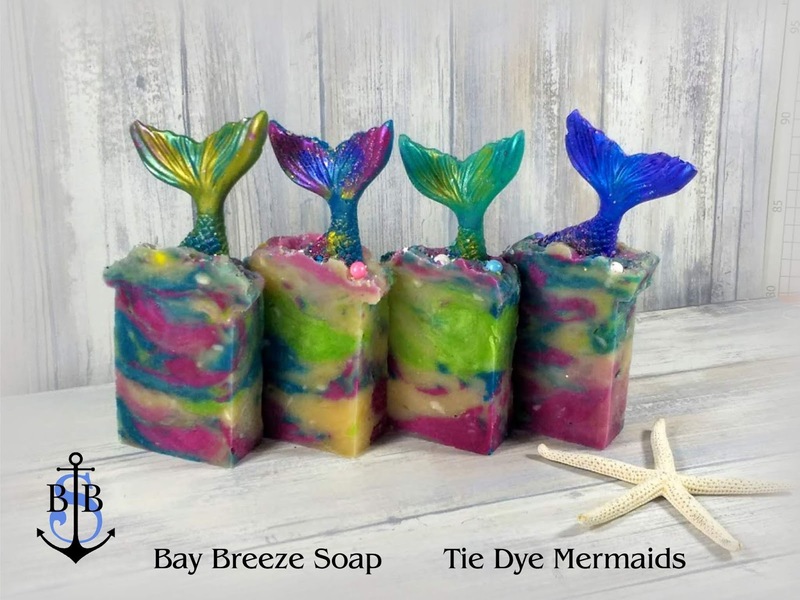 I've made lot's of mermaids soaps this summer. 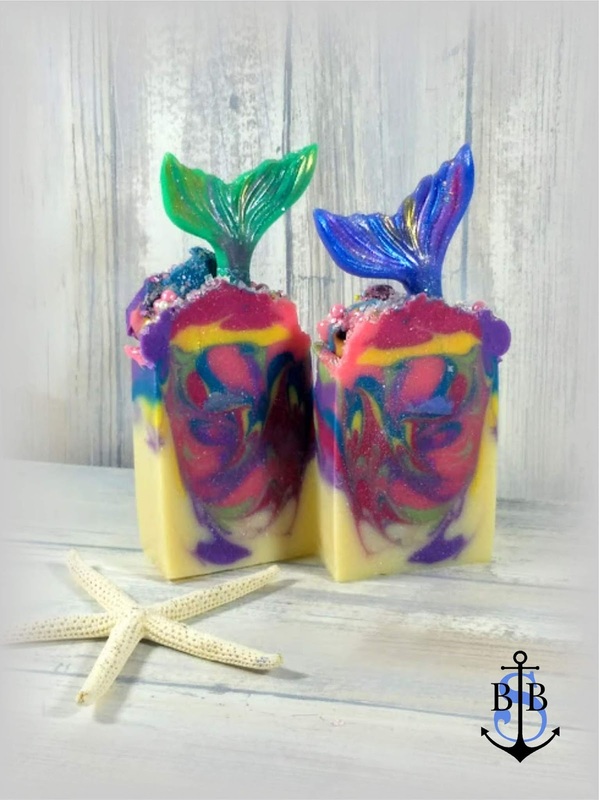 Always a sell out. Here are a few of them. 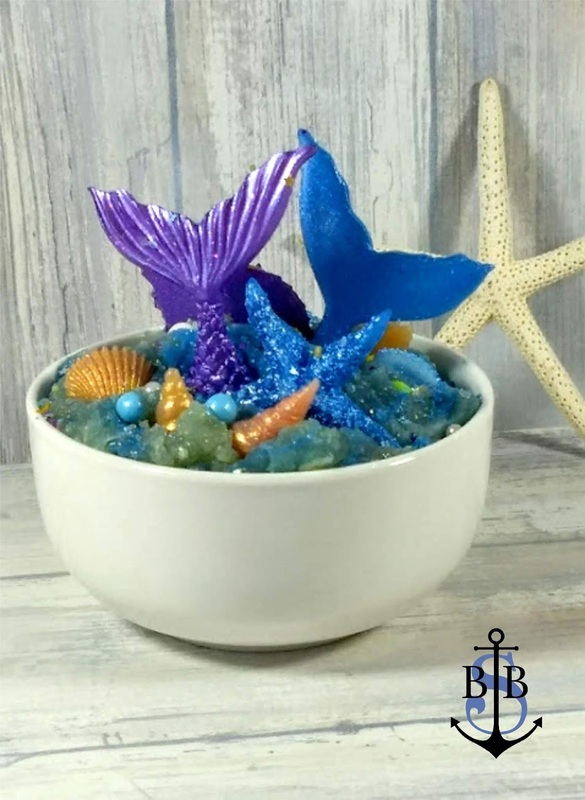 Vanity Soap Bowl full of mermaids and shells. These are precut in half. After you're done looking at them on the sink counter for a while.....give them to the kids! 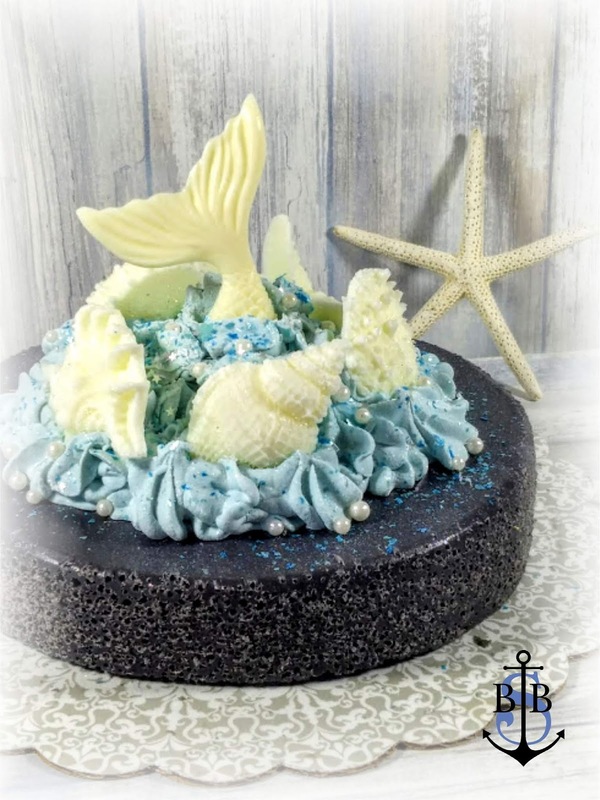 One layer Mermaid Fantasy Cake. Easy to cut.